A long time before the Connecticut Huskies and Baylor Lady Bears climbed to the top of the mountain of women’s college basketball, before the Tennessee Lady Vols or Louisiana Tech Lady Techsters dominated the game, and before there was a WNBA there was a kid from Queens, New York, who could play some ball. Before women had their own NCAA Basketball Tournament Selection Show, before the NCAA even oversaw the women’s game, that kid took a shot at basketball glory. 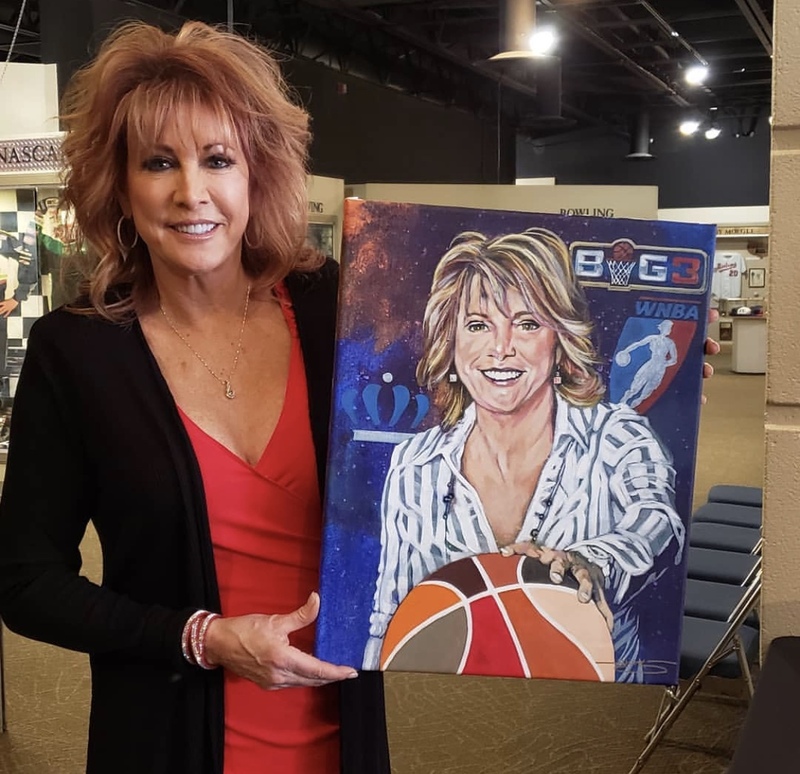 Nancy Lieberman, who grew up playing hoops in New York schoolyards and the basketball Mecca of Rucker Park, showed up at Queens College with friends at a talent search for no less than Team USA. Lieberman was 15 years old when she tried out in 1974 at Queens College, one of four regional sites across the country tasked with finding players. She was chosen from among 250 to travel to the next stage in Albuquerque, N.M. Since then, Lieberman has been drafted and played in multiple pro leagues, both in the women’s and men’s game. She’s become a household name for her skills on the court and as a TV analyst. She’s broken the glass ceiling in becoming a head coach for men’s pro teams. And, somewhere along the way, the hoops star from Queens became a Texan. Lieberman will be inducted into the Texas Sports Hall of Fame on Saturday as part of the seven-member Class of 2019. Lieberman arrived in Dallas as a hoops star and that has a lot to do with her status as a basketball prodigy. When the girl from New York traveled to New Mexico to test her game against the country’s best, she made an impression. Former Cal State Fullerton and UCLA coach Billie Jean Moore noticed and spoke up for the high schooler that made it to the final stage of tryouts. Lieberman went on to win a gold medal in the Pan American Games in 1975 and a silver in the Montreal Olympics in 1976, both before she had even started her college career. Having already earned plenty of street cred in basketball, Lieberman then chose to pick a college she could put on the map. She picked Old Dominion, a program that had never won more than 16 games in its seven seasons of existence when Lieberman stepped on campus. Lieberman, who earned the nickname Lady Magic while playing women’s basketball at the same time a kid named Earvin Johnson Jr. was playing at Michigan State, proved to be rocket fuel for Old Dominion. In her first two college seasons, the Monarchs went to the WNIT semifinals and then won the WNIT in 1977 and 1978. They ascended to the AIAW Tournament, the pre-1982 equivalent of the NCAA Tournament, during Lieberman’s junior season and won back-to-back national titles in 1979 and 1980. With Lieberman as its driving force, Old Dominion became the must-see act of women’s hoops. Old Dominion defeated Louisiana Tech for the 1979 national championship and Tennessee for the 1980 title and that triumvirate ushered women’s basketball onto national television. Among the people who took notice of Lieberman’s basketball skills was Dallas Cowboys quarterback Roger Staubach. As it turned out, the Dallas Diamonds selected the Old Dominion star with the first pick of the 1980 WABA draft. “When I got to Dallas, I’ve got to admit I was a little green and I was so New York,” Lieberman said. ‘I was like ‘How you doin’? What’s goin’ on?’ I had such a heavy accent a few years later I had to go to elocution school for ESPN to get rid of my New York accent. Luckily for Lieberman, the Cowboys quarterback reached out a hand of friendship. Lieberman played three seasons for the Dallas Diamonds before the WABA folded for good following the 1984 season. She also had stints with the Springfield Fame and Long Island Knights of the men’s USBL, and the Phoenix Mercury and the Detroit Shock of the WNBA. But her best days weren’t seen by TV or arena crowds. One of Lieberman’s best Dallas friendships came out of playing hoops at the Signature Club while she was preparing for her WNBA comeback ahead of the 1997 season. Lieberman’s son T.J. Cline, himself a current pro basketball player as a 6-9 forward for the Israeli team Hapoel Holon, looks back on his own childhood with a sense of awe. While it’s difficult to define Lieberman’s career — she has been an accomplished player, broadcaster, coach and even hoops philanthropist — deep down she’s just another lover of the game. So it’s no surprise that some of the most competitive games she’s played have taken place in the driveway.